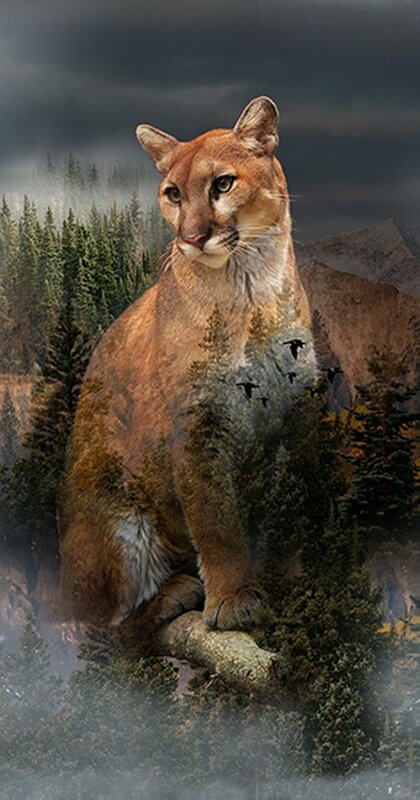 23.5" panel of a cougar peering above the mountains. From the Call of the Wild collection from Hoffman Fabrics. 44"-45" wide. 100% cotton. 23.5" panel.